On the 17th of May 1888 Church’s butchers opened its first ever shop. This is the same shop that stands proudly on Epping's busy high street today! 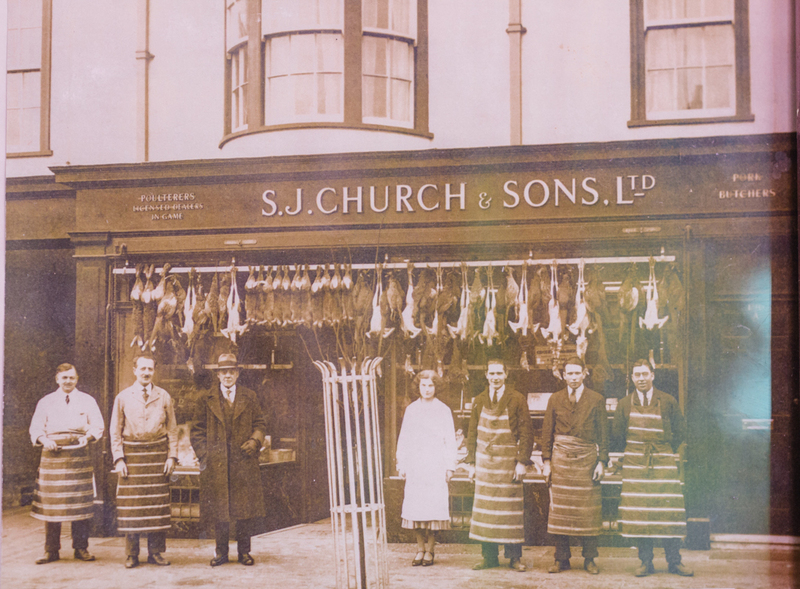 The shop, then known at Church’s pork shop was opened by a man called Stephen John Church. He himself came from at least 4 generations of butchers and wished to follow in his fathers steps, who was a butcher in Harlow, Essex. Back then, butchery and farming was one of the same and unfortunately hard times were upon them due to cheap importation of grain. Stephen's father insisted he became a carpenter – in fact, some of his work has been kept in the family and can still be seen in the shop to this day! Stephan eventually took a chance on his dream to become a butcher and found a premises where he could set up his first pork shop. Luckily the shop was a huge success and it went on to become the Church's we know and love today! 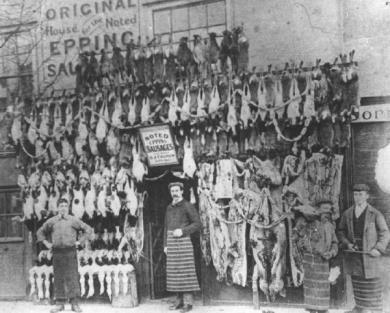 Epping was already well known for its sausages. Part of this reason being was because of the large amount of forest land where the pigs could be kept freely. This meant they could graze on the land didn't need to be fed on expensive crops. Up until 1895 each sausage produced at Church’s was made by hand. Stephen had learnt this craft from his father in his early years where he would help make sausages from start to finish without the use of any machinery. 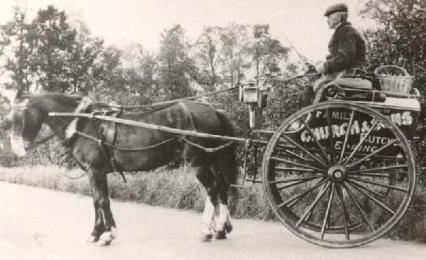 In 1878, his father installed a horse driven sausage machine to help make things easier. 18 years later, demand for the Epping Sausage was so great that Stephen himself had to invest in in a gas-engineered sausage machine costing whopping £56.13. A bold investment as the average weekly takings in those would have been around £36 in total. At the time Stephen grew all the sage for his sausages at home. He would religiously pick the sage between the hours of 11.00am and 2.00pm when there was no dew. It was then hung in a specially developed shed in bunches with no more than six stalks. The seasoning was then mixed in big wooden churns by Stephen, who always insisted on doing this himself unless he fell ill. Stephens passion and attention to detail made the Epping Sausage the incredible product it was, and still is. Today, it would be impossible for the family to make such large amounts of seasoning to reach demand but over the years, the family have the secret seasoning for their sausages which is produced by a specialist. When electricity came to Epping, Church’s decided to demolish the original pork shop rather than refurbish it. The plans were drawn up in 1930 by a local architect and the new shop was built coasting £2,925. This was the first shop on Epping high street that was specifically built for the use of electric. The old and no longer needed gas machines were stored away and in its place new electric sausage machines was bought. Skip forward to the late 50’s and due to continued increased in wholesales of sausages and other products, more production space was needed. After much deliberation, they came to the decision to knock down the barn at the back of the pork shop – a space was previously used as a slaughter house. In its place, they were to build a two story factory to ensure they could keep up with the demand. This bold move enable the business to thrive and allowed it to be an independent retailer – one of the very few independent retailers trading today! 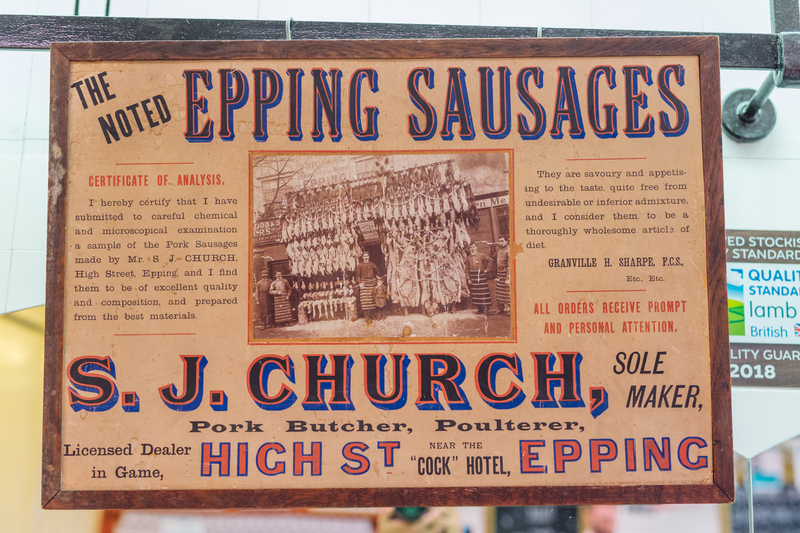 The Epping sausage recipe has been passed down through generations and still hasn’t been altered to this day! It’s very much the same recipe that Stephen and his father put together all those years ago. 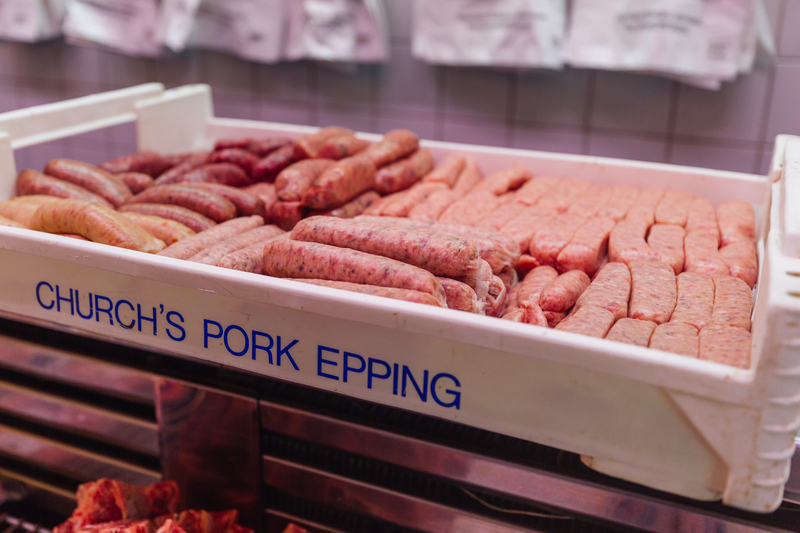 Although us butchers do like to get experimental and try new twists on the old favourite, the community of Epping still love to get their classic Epping Sausage from Church’s. A tradition passed down through generations- Just goes to show you can’t beat good quality!